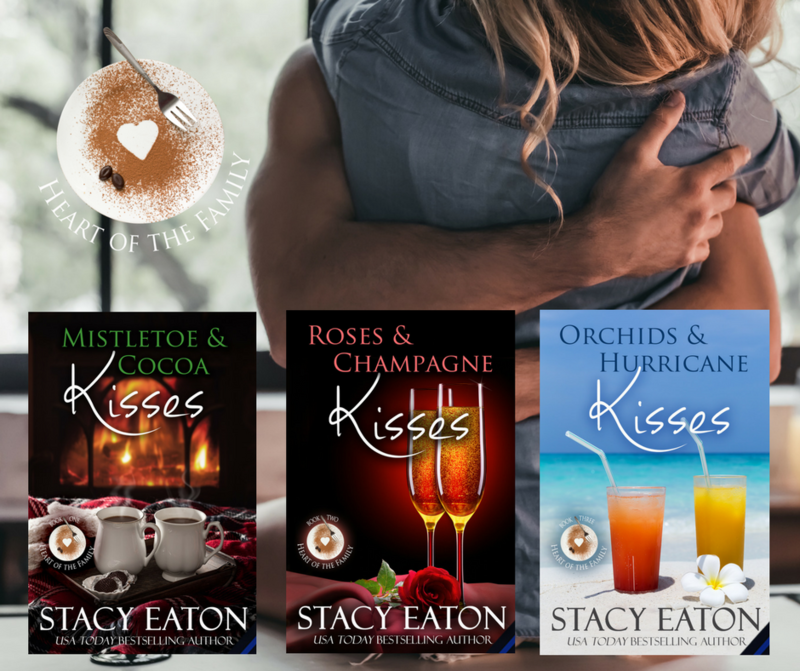 Heart of the Family Series! 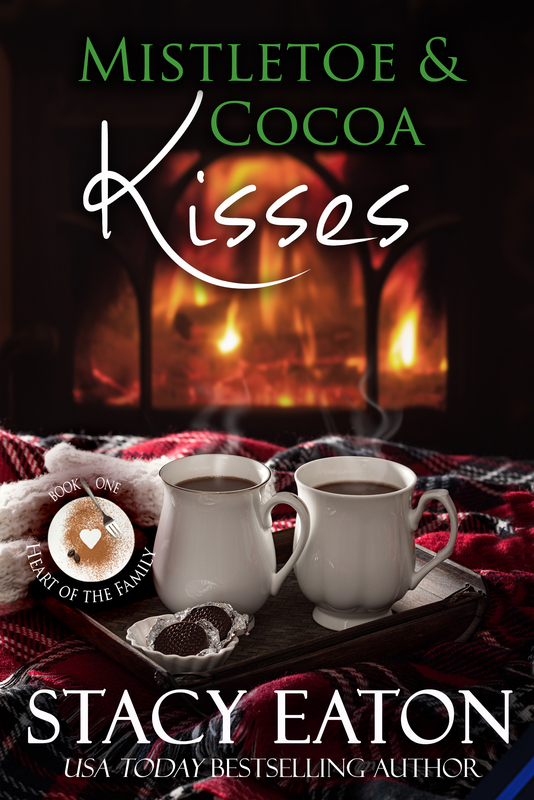 Some of you might have already read Mistletoe & Cocoa Kisses when it was released in October of 2016. 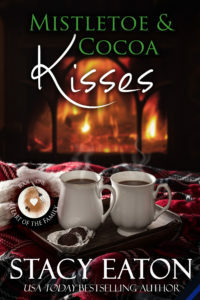 It’s a quick read about Robin Cove who flees New York City after a horrible night, only to find that its only going to get worse. Robin’s car breaks down on back country roads in Pennsylvania and she nearly freezes to death. Luckily Robin is rescued by Matt Landry, a sixteen-year-old who brings her home to his father to help. The rest they say is history! But it’s also the start of something wonderful! 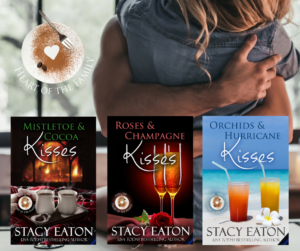 Robin purchases a catering business in Cricklewood Cove named Heart of the Family Catering, and that’s where the series begins. 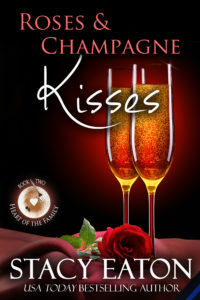 This book will be exclusive to Amazon and released on August 20th. 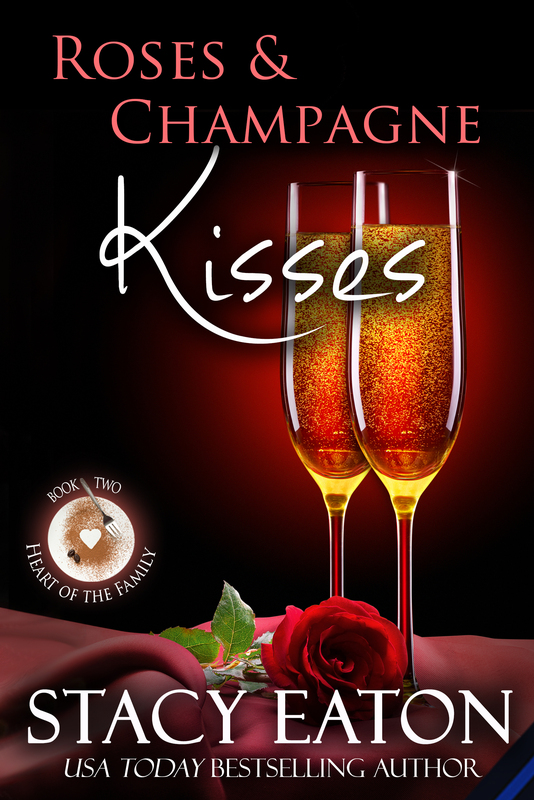 You’ll meet Roan’s handsome and somewhat reluctant brother, Rye Waterman in Roses & Champagne Kisses. Rye takes off on a honeymoon without a bride, he finds himself completely taken with another guest at the resort. 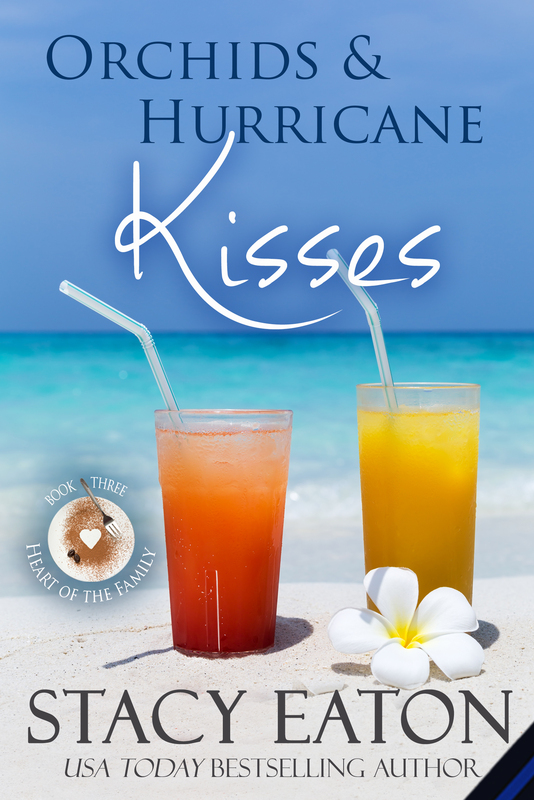 But holidays only last so long, and when a hurricane threatens to strike the tropical island, Rye and Amy must head back to their everyday lives. But can then go on alone, or were those few days in the surf and sand meant to be more than a fling? When are anticipating book 4 will be released? It said mid February on your site but I do not see it on Amazon. Hi Corey – Thank you so much for asking. Unfortunately, due to some scheduling conflicts, I had to push the publication of the fourth book back to late fall 2019.